Magritte's surrealism is  to me  more accessible than Dali's. 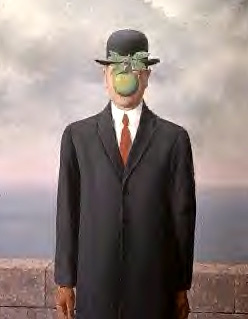 Each of Magritte's images  the businessman, the apple  is perfectly realistic, in and of itself. They'd even make sense if you arranged them differently on the canvas: what would be surreal about a businessman eating an apple? It's just when Magritte puts them together in his own special way that they become odd  and oddly compelling. 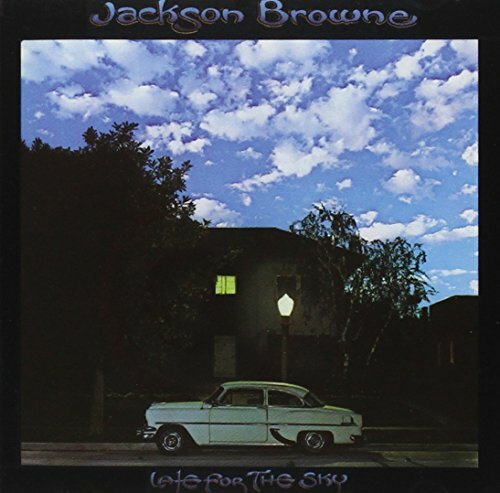 His work seems to resonate with rock musicians, and Magritte paintings have been reproduced on the covers of numerous albums (a sampling of which you'll find here) and imitated on others (such as Jackson Browne's Late for the Sky). While you're clicking, you'll find a Magritte website here.